1 JOOM REVIEW: IS IT THE BEST CHINESE ONLINE STOR? 1.1 JOOM REVIEW: WHAT ARE THE STRONG POINTS OF THE SITE? 1.3 JOOM OR WISH OR ALIEXPRESS …? JOOM REVIEW: IS IT THE BEST CHINESE ONLINE STOR? Joom is the last big online shopping platform that has just appeared. Like Aliexpress, Wish, etc., its products come from China and has the slogan of offering “the best of China”. Despite this commonality with its competitors, Joom stands out from these on many points that you will discover in this Joom review. Attention Joom comes in force and you will surely adopt it! JOOM REVIEW: WHAT ARE THE STRONG POINTS OF THE SITE? The big advantage of Joom is that all shipping costs are free. The price you see is therefore the one you have to pay at the end of your order. This allows them to offer prices even more competitive than Wish (see: Wish Review), which adds shipping costs on each product. Just like Aliexpress (see: Aliexpress Reviews), all types of products are available on Joom, from jewelry to electronic products. You will find everything you need and all this at a price which is probably even lower than Aliexpress! In addition, the quality of the products is the same as that of its competitors. Joom is also a market-place, they are the same Chinese sellers that we order on Wish or Aliexpress, the site simply playing the role of intermediary. However, we advise you to favor certain purchases in particular rather than others. Joom although supposed to have quality control in place can still disappoint you on some products. Including some high-end technology products. For us, the top to buy on Joom remains the clothes and fashion accessory. Feel free, problems are quite rare on this product category. What will undoubtedly lead to an even wider audience than Aliexpress is that the site’s design is clean and shattered. Which is best for those Americans who does not like overloaded pages. Like Wish, Joom is first developed its mobile application. This app that has particularly hard card in Russia, allowed him to develop and now have a website available entirely in English! 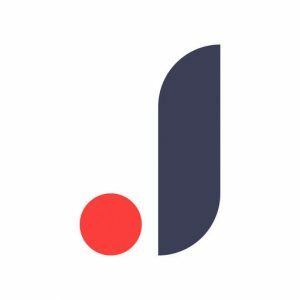 As announced previously, Joom now offers a website and an application totally in English and other languages, like French. In addition, the translation is perfect and therefore better quality than what can be found on Aliexpress for example. This will still allow it to stand out from its main competitors, because the product pages are much clearer and gives more confidence in what you actually buy! In addition, for some French speakers, one of the big positives of Joom is that all his service or technical support is also in French. You will be in contact with someone who answers in a neat French. Finally finishes the headaches in English with the Chinese sellers of Aliexpress! Learn more about Joom’s warranties and support. Unlike Aliexpress, Joom does not offer cheap brand products on its app. The vast majority of products are generic or Chinese brands. This does not prevent, however, that some Chinese brands are completely legitimate. Update: Joom has been accepting PayPal since very recently. The site did not accept this method of payment for over a year but eventually succumbed to complaints from its customers. However, we keep this aspect in the category of negative reviews, because Joom will charge you extra to pay with Paypal. These fees seem to vary but we are talking about an additional 4% added to the final price. Of course, like all products from China, it will take between 15 and 30 days in most cases to receive his product at home. Nothing new compared to its competitors. However, the small negative is that Joom gives 75 days maximum to the sellers to deliver the product. This is a very rare case but if the seller delays in sending you the product, or does not send it outright, you will have to wait 75 days before you can make a claim. After 75 days you will be fully reimbursed by Joom, who has an effective after-sales service. Unlike Aliexpress, but as Wish, it is not possible to directly contact the seller on Joom. In case of problems you should contact Joom Support who will solve the problem with the seller. However, this can sometimes be actually easier in case of litigation. JOOM OR WISH OR ALIEXPRESS …? For all purchases via our mobile, Joom wins the hand. The products seem to be more cautiously selected than on the website or one is quickly overwhelmed with products of which one has no interest. And it also prevails on the application of Wish which is a real bulk vric and where the products are slightly more expensive especially because of the delivery costs. By cons for a purchase on computer, we still prefer Aliexpress.